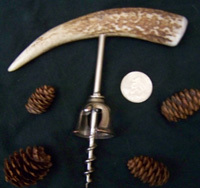 Antler Art, including chandeliers, lamps, sconces, shelves, wine racks, wine pullers, and finials, are handcrafted and made in Michigan. 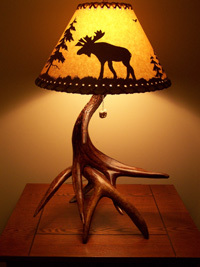 Antler Art specializes in fine antler art furnishings for your home, cabin, or business since 1994. 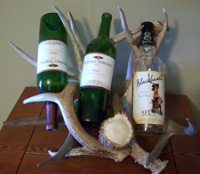 Each unique piece of Antler Art brings nature to your cabin, lodge or business in a beautiful rustic way. Guaranteed 100% money back if you are not 100% satisfied with your purchase. To date we have not had such a request and have not had any workmanship issues! 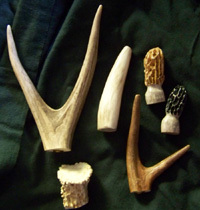 All antler products carry a lifetime warranty on the craftsmanship. 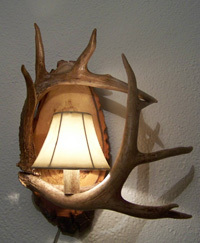 Should any issue arise with the workmanship, we will repair free of charge. 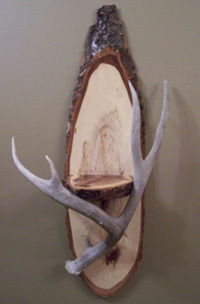 Should a piece become damaged due to the customers handling (dropping a piece, falling from a table or wall), a bench fee of $30, plus shipping charges will be applied. We will work with each individual customer to ensure a happy and enjoyable experience on returning their piece back to its original state.